300 Collins is luxury condominium of 19 unique luxury residences designed and styled by Thomas Juul-Hansen, and the landscape designed by Urban Robot. The condos range from 1 to 4 bedrooms. 300 Collins is almost symbolic of the major transformation the South of Fifth neighborhood continues to be part of. 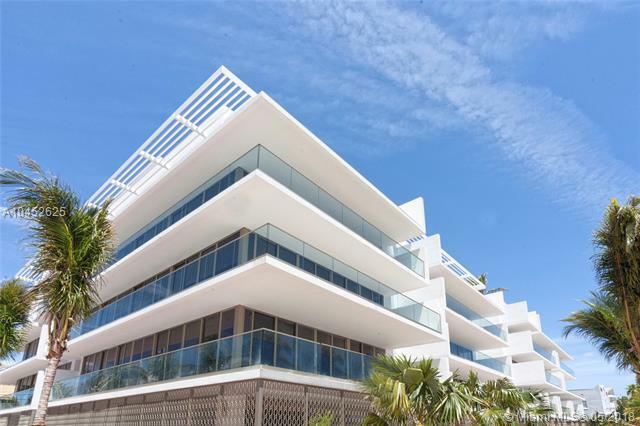 300 Collins is just one block from the ocean, located east on Ocean Drive. Thanks to the imagination of designer Thomas Juul-Hansen, South of Fifth has become all the more stylish, and all the more exclusive with the new 300 Collins. At Three Hundred Collins residents can leave the sights and sounds of South Beach behind and discover a sanctuary of chic between the city and the sea. Born of Juul-Hansen’s pure and practical design, Three Hundred Collins offers residents the ultimate balance of city living and cool tranquility. A unique blend of its natural environment and sophisticated, contemporary design, Three Hundred Collins is conceived as a modern retreat in the heart of it all. Residence Sizes: 996 - 3151 Sq.Ft. With relaxed sophistication at the heart of Three Hundred Collins, you’ll find all the amenities and features have been designed to make life all the more effortless... and all the more luxurious. From the large 75 foot private pool to the hot-tub and fitness center, residents can unwind in style without leaving the sanctuary of the building. Plus, with valet parking, 24 hour attended lobby and personal service, you can be sure that life is as seamless as possible.